Edited on 25th January 2019 at 14:50: Date corrected from Fri 25th to Thu 24th, to reflect that the meeting had already taken place when this post was uploaded. Apologies for any inconvenience caused. 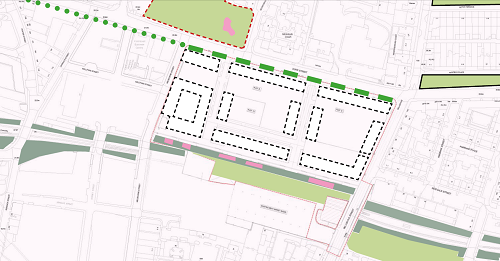 A planning and architectural public exhibition for the former meat market and abattoir site at Duke Street and Bellgrove Street was held in Dennistoun Library from 2:30pm to 7:30pm on Thursday 24th January 2019. Please do leave a comment below (or get in touch directly) to share your thoughts about how you feel the updated plans for the site would (or wouldn’t) benefit and complement our community life and spaces here in Dennistoun, Haghill, and other surrounding areas. 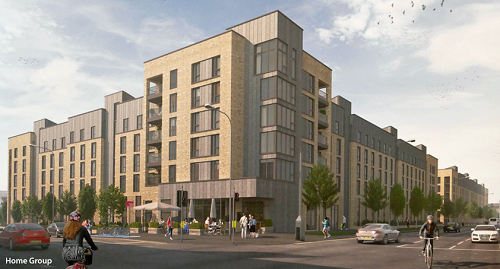 See here for a pdf with detail additional to the above masterplan images. See here for a reGlasgow article on the proposals with more visualisation images. See here for the previous DCC write up about plans for the site. See here for information about a recent consultation seeking views on potential uses for the cattle market sheds (which are being dealt with as a separate site to these proposals). To get DCC updates delivered to your inbox, enter your email address into the box in the menu section of this site and click Subscribe Now! (To the left of the screen in desktop view, or via the menu button at the top of the screen in mobile view). Easy to unsubscribe from at any time. Views are sought on what members of the local community think the priorities should be for developing the site where the B-listed cattle sheds stand on the former abattoir site at Bellgrove . 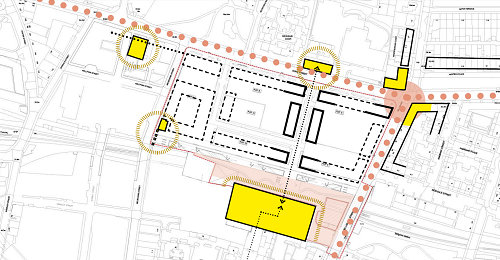 Interested in the regeneration of the former abattoir and meat market site off Duke Street and Bellgrove Street between Dennistoun and Collegelands? Then get along to Dennistoun Library on Thursday 14 December between noon and 8pm to find out about Glasgow City Deal plans to develop the site, with housing to be built in the first phase.